Step1. 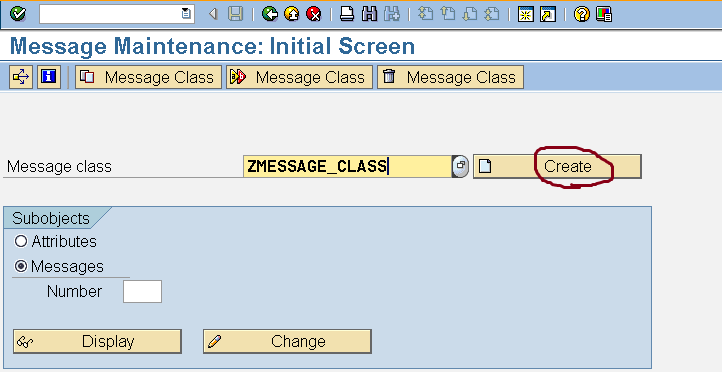 Login into the system with Language EN and in Tx- SE91 create a message class. Step2. Provide short text and save it in a Package. Mark the Object Directory Entry ‘R3TR/MSAG/ZMESSAGE_CLASS’. Step3. PROVIDE a request number. Step4. Maintain any text for a message number & Save it. Step5. Go To Tx- SE09 & open the request number under which the message class is saved. Double click on the Task number under the request. Step6. We can see the Message class is locked in the Request/Task with the below entries. Step7. Login with language ‘DE’ and open the message class. Here the message text appears in the original language as we have not yet maintained the transalation text in language in DE. Step8. Go to the Tx- SE63(login Language : EN). Navigate along the highlighted menu path. Step9. Provide the below details and the target language as DE and Click on Edit button. Step10. Expand the tree & double click on the message name. Step11. Get the translated text. (Can take help of Google Translator). Step12. Provide the translated text and Save it. Go Back of the transaction SE63. Step13. Again display the Message class in the login language DE and we can see the traslated text maintained in login language EN. I find It really useful & it helped me out a lot. I’m hoping to offer something again and help others like you helped me.